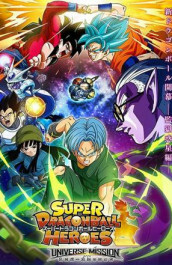 Super Dragon Ball Heroes - Zamasu Revived?! The Curtain Rises on the Universal Conflict Arc! 1x07 Zamasu Revived?! The Curtain Rises on the Universal Conflict Arc! Los Z-Fighters se disponen a rescatar a Trunks de un planeta prisión. Elenco: Kappei Yamaguchi, Ryusei Nakao, Eiko Yamada, Takeshi Kusao, Rikiya Koyama, Masako Nozawa, Ryou Horikawa.